Another year, another successful sale! During February 100’s of bargain hunters managed to snap up our stunning bricks and pavers at never-to-be-repeated prices. Over 100 000 seconds pavers alone made it out the door! As many of you know, we aren’t one of those businesses that’s ‘always having a sale’! Our sale is once a year and the savings are genuine! For those of you who missed out, there are still some sale pavers available from just 53 cents each in a few colours! So if you want to grab yourself a last-minute bargain now is the time! Call 08 8391 1855 during office hours or email sales@littlehamptonbrick.com.au for more details. This group is reserved for our amazing team members who have been with Littlehampton Brick Co for 30 years or more! During March we had the honour of congratulating and welcoming our 3rd member to the club; Mr Chris ‘Edga’ Schmeiss!! Edga has been a valued and fantastic member of the Littlehampton Brick Co family and we look forward to keeping him as long as he will let us! These days it’s uncommon to see so many long-term employees at a company (and we have a few more nearing the 20 and 30 club too!) we think it’s a lot to do with the culture here. We’re not just a South Australian business, but a family. We had a little surprise for Chris too! Watch the video below! 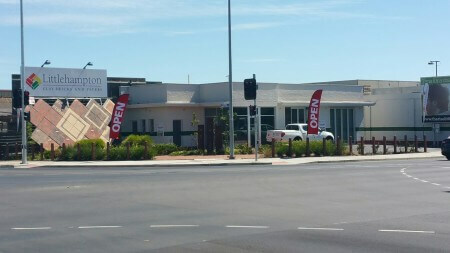 Our new Adelaide showroom is open! Littlehampton Clay Bricks and Pavers are proud to announce the opening of our new selection centre on the corner of South road and Richmond road. Our range of clay pavers are all displayed outside, (brick displays soon to be placed outside too!) By appointment you can view our range of bricks which are displayed inside and all are welcome to use our selection centre when required. When the flags are out someone is on site but dont worry our reps are as close as the phone if needed. 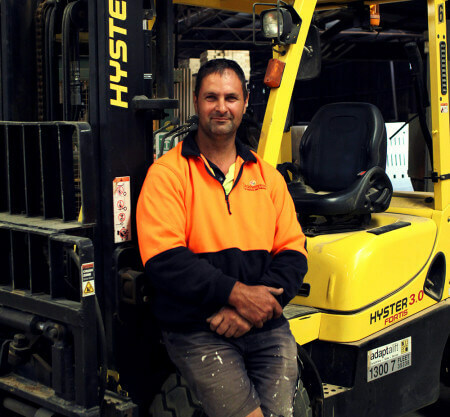 Just call Wayne on 0458506019 or Joe on 0459550006 and they can organise a time to meet with you and/or your client.